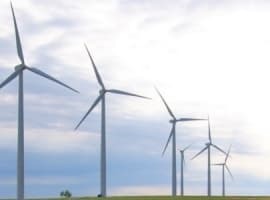 Renewable energy will march forward this year, due to “remorseless reductions in the costs of solar and wind electricity and of lithium-ion batteries,” Angus McCrone, the chief editor of Bloomberg New Energy Finance (BNEF) wrote in a commentary. McCrone and BNEF laid out 10 bold predictions for the global clean energy market for 2019. Clean energy will also make huge strides because of the “widening realization on the part of investors and corporations that there is this ‘sustainability thing’ and, for reasons of self-interest, they just need to do it,” McCrone added. Falling costs for wind and solar are great news, but they also make the headline investment figure appear less impressive. BNEF sees total clean energy investment hovering at around $300 billion, down from 2018’s $332.1 billion. But while investment totals will be down this year, as time marches on and costs continue to fall, every dollar invested brings more renewable energy capacity. The same will be true in 2019. 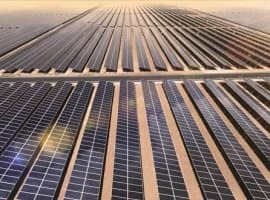 For instance, BNEF predicts that the world will add between 125 and 141 gigawatts (GW) of new solar this year, sharply up from the ~109 GW added in 2018. For wind, BNEF sees capacity additions of 70 GW in 2019, up from 53.5 GW last year. 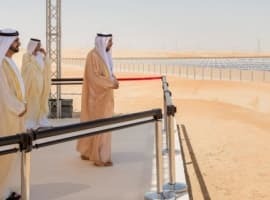 Energy storage hits a milestone in 2019 as well, adding 10 GWh of new capacity for the first time. China will “establish a truly global presence” in the energy storage market, with automakers increasingly seeking out the Chinese suppliers. Average battery prices could fall below $150/kWh this year, down from $176/kWh last year, which itself was a record low. The sales of electric vehicles jump by 40 percent this year. BNEF expects the world to add 2.6 million EVs to the roadways in 2019, adding to the cumulative total of 5 million already sold. The 40 percent growth rate is down from the 70 percent expansion in 2018, but sales are growing from a larger base. Unsurprisingly, China leads again (you’ll notice a pattern here), accounting for about 57 percent of the global market. The next few years should be exciting for the EV market, with automakers around the world set to unveil dozens of new models. Ford recently announced that it would make an all-electric version of the F-150, the most popular vehicle in the United States. The EV market is in transition, however. Subsidies are phasing out in China, the UK and the U.S. Tesla just announced that it was laying off 7 percent of its workforce because it needs to cut the cost of the Model 3 – the result of dwindling subsidies for the EV company. Related: Is Kuwait’s $500 Billion Oil Plan Overoptimistic? Renewable energy is growing by leaps and bounds, but natural gas also continues to gain ground at the expense of coal, particularly in the United States. Winter demand has temporarily pushed prices up, but relentless production growth should keep prices in check. Meanwhile, the surge in output is flowing to America’s coast, where it is increasingly being exported. China remains the cornerstone of every LNG forecast, and its gas-to-coal switch is driving up global demand for LNG. The global LNG trade should expand by 8 percent this year to 340 million tonnes per annum, BNEF predicts. BNEF had some thoughts on the oil market, predicting a steady rise in prices due to the OPEC+ cuts and the loss of supply from Iran. A more dovish stance from the U.S. Federal Reserve could also put upward pressure on oil prices via a weaker dollar and more of a tailwind for the economy. Overall, BNEF lays out a very optimistic year for clean energy, one characterized by falling costs and further inroads into a variety of markets. "and its [China's] gas-to-coal switch is driving up global demand for LNG"
I assume you actually mean coal-to-gas switch.